On 24-25th of May 2018 in Bucharest, Romania, held 6th edition of annual congress of Romanian Society of Feline Medicine. 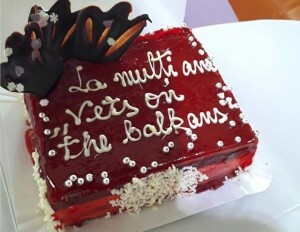 Vets on The Balkans was part of the congress to celebrate 3th birthday. 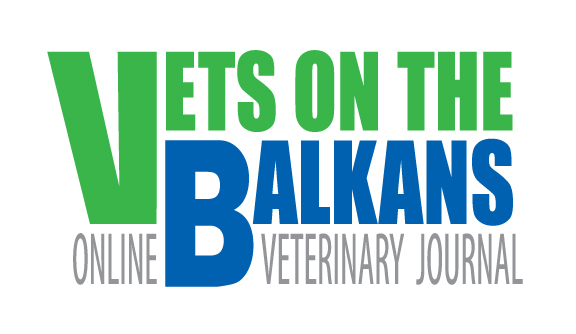 It was an initiative organised by SRMF and Vets on The Balkans and 7 veterianrians from the region came to present their clinical cases, as they do in the journal in general. Dr Elli Kalemntazki from Greece. She is a graduate the Faculty of Veterinary Medicine of Aristotle University in Greece and held postgraduate degree in Public Health from The National School of Public Health in Athens, Greece. She is also Profesional Coach accreditated by the International Coach Federation since 2010 and a Certified Practicioner of Neuro Linguistic programming since 2012. Her subject was “Management of communications with clients”. Dr Mila Bobadova is graduate the Faculty of Veterinary Medicine of University of Foresty in Sofia , Bulgaria. She is head manager of „ Dobro Hrumvane” veterinary clinics in Bulgaria. 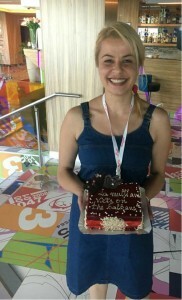 Mila paricipate ESAVS Dermatology courses.Her subject was „ Dermatolgy Puzzle”. Dr Zoran Loncar from Serbia. Workin as full time Doctor of Veterinary Medicine Regional refferal veterinarian in Neurology and Orthopedic field. Member of ECVN, ESVOT, SCIVAC, SITOT, AO-Active member, jounior speaker. 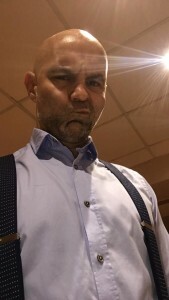 Author of sciantific publications. Clinical research surgeon. I can say the she showed 40 % of the pathology in cats through the point of view of Neurology. Dr Daniela Drumea from Romania. Veterinary doctor, Dr. Daniela Luciana Drumea graduated the University of Veterinary Medicine in Bucharest, promotion 2014. Became a member of the non-stop veterinary clinic Tazy Vet in 2011, working as a veterinary assistant during her student years. Her passion and ambition to learn as much as possible about veterinary dermatology and the ongoing training at numerous national and international congresses and workshops led to the experienced and dedicated doctor that she is today. Dr Bianca Bofan, PhD student, veterinarian in Centru de endoscopie si chirurgie minim invasive in Bucharest, Romania. Stgrongly involved in respiratory pathology in dogs and cats. Her subject was Interventional Treatment of Nasopharyngeal Stenosis- different approach on 2 cats. Dr Constantin Ifteme, the head manager of Centru de endoscopie si chirurgie minim invasive in Bucharest, Romania. 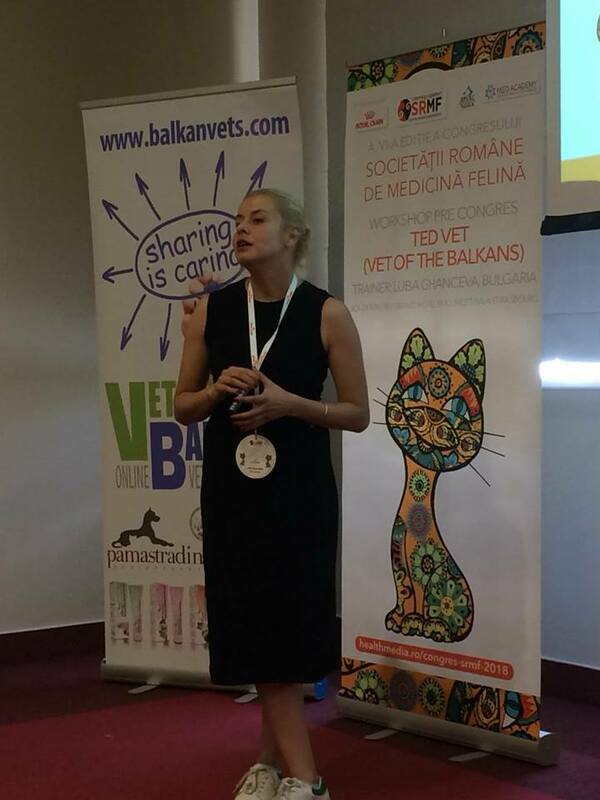 Member of VES&VIRIES,speaker, owner and manager of Vet Traing Center in Bucharest, Romania. His subject was Esophageal stricture-it is not always easy. 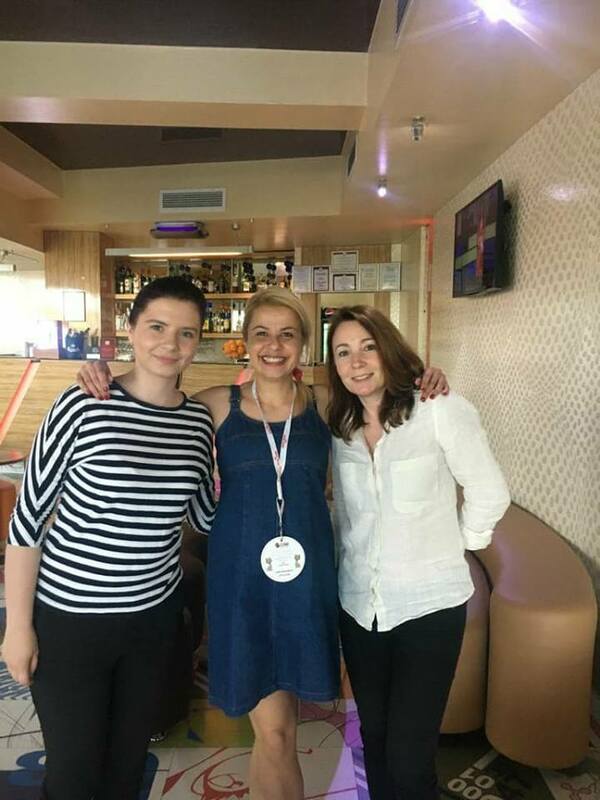 Dr Luba Gancheva, owner of Vets on The Balkans presented dermatology case from Bulgaria, managed together with romanian vet Dr Rares Capitan, as a great job between balkans vets. Because we strongly believe that hand by hand we all be better. On 24th as a precongress course, she present the difference between veterinary medicine between Romania and Bulgaria. Both countries has what to learn and in that way will be more easy and fast. The motto of the journal is „ Sharing is Caring”. 25 veterinarians participated the workshop. The organization of the Congress was in high professional level and more than 200 veterinarians attended. 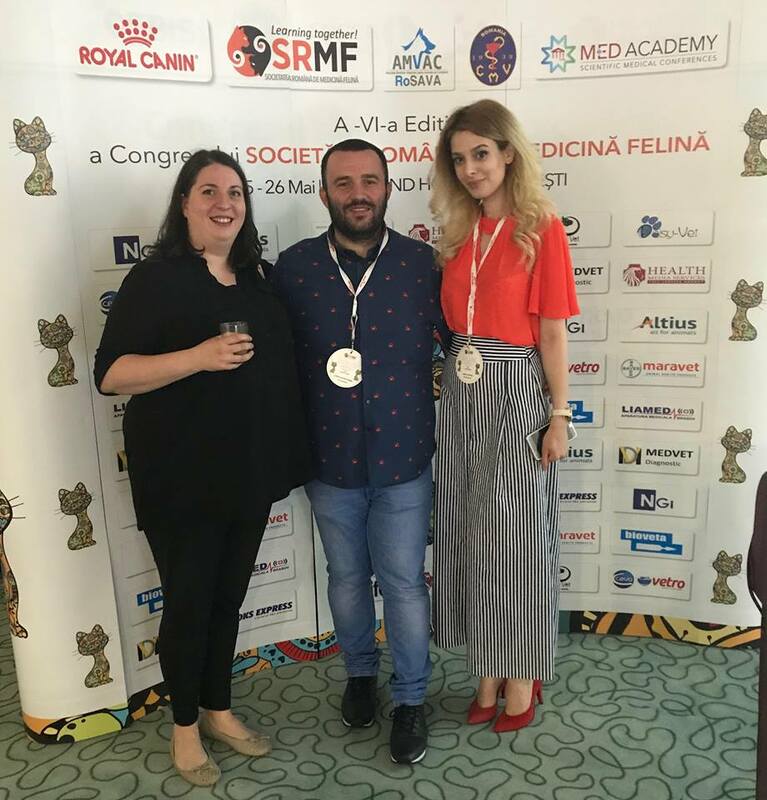 We would like to express our gratitude to SRMF and Dr Tache Epure and Dr Valentin Nicolae for the opportunity to be part of it and to share these moments together. See you next year on th 7th edition!